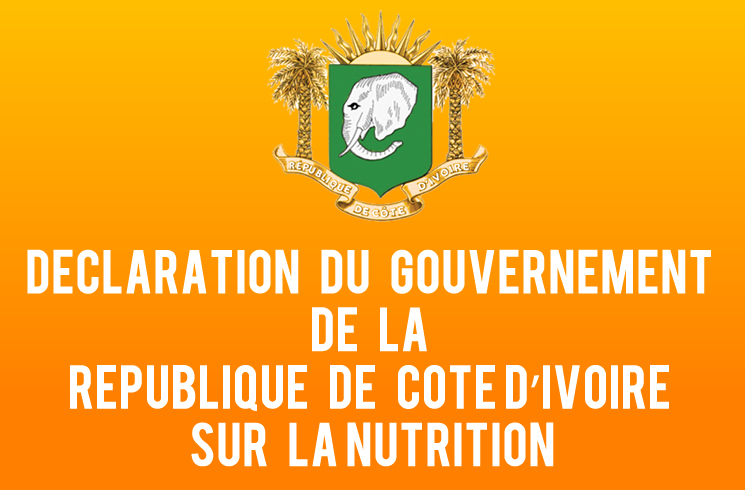 Abidjan (Ivory Coast) - APA has learn Sunday from the Ministry of health and public hygiene, that a round table for the mobilization of resources to finance Côte d'Ivoire 2016-2020 National and Multisectoral Nutrition Plan (PNMN) opens next Thursday in Abidjan with 300 national and international participants and hundreds of international financial institutions. In June 2013, Côte d’Ivoire joined in the international the United Nations Secretary-General '' scaling up nutrition or SUN '' initiative. The 2016-2020 National and Multisectoral nutrition plan was developed and approved by the government on May 11th. She added that ''On June 29, 2016 the cabinet authorized the organization in Abidjan of a round table on September 15 and 16, 2016, in order to make this resource mobilization phase, essential to the implementation of the Plan, a success ''. In Ivory Coast, chronic malnutrition is widespread and reaches high proportions of children. At national level nearly a third of children are stunted. The national prevalence in terms of acute malnutrition is around 7.5%. Anaemia affects nearly 75% of children under 5, and 54% of women of childbearing age, whereas men aged 15 to 49 years, it is around 30%. Excess weight and obesity affect more and more adults and young people, particularly women, exposing them to chronic non transmissible diseases.